Collaboration can have powerful results. 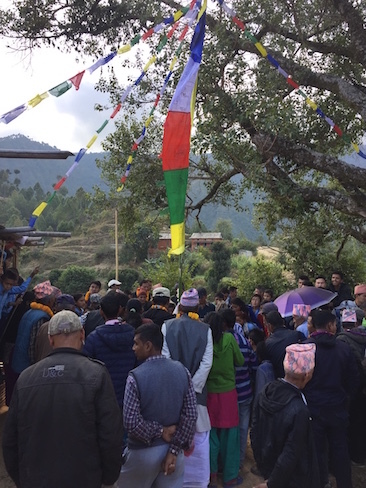 The collaborative design process used for the Education Centre of Excellence brought together experts from a variety of fields and connected great minds from Australia and Nepal. 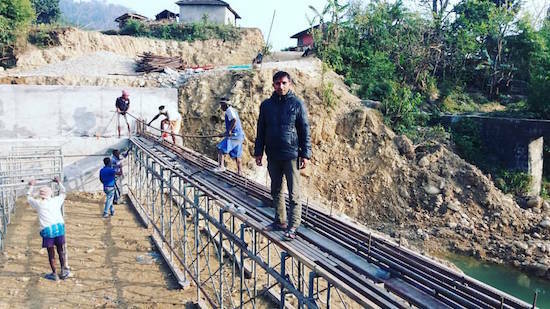 Janak Raj Pant, a Nepali engineer, worked with Angelica Rojas Gracia, Creative Director of IncluDesign and Lead Designer and Collaborative Design Expert on the Education Centre project. Their collaboration and knowledge sharing was an enriching experience for both of them, but for Janak in particular it provided the opportunity to re-evaluate his design ideas and current work practices. Moreover, despite being faced with corruption and political instability in his government job, Janak is convinced that it is collective effort and collaboration that is the key to positive and sustainable community development. He maintains an optimistic outlook in the interest of achieving to the best of his ability and that of others. 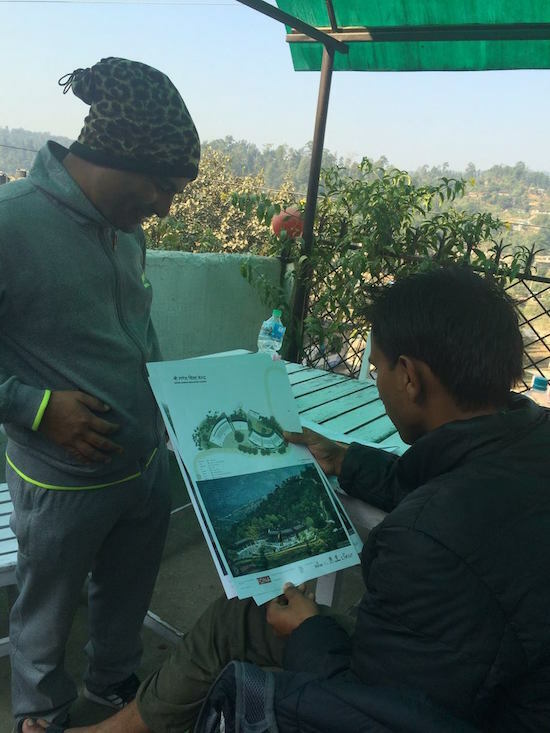 Janak worked with FONA’s design team to prepare a topographical survey of the site our Education Centre is built upon, and through this process became a self-styled ‘#regenerativearchitect’. 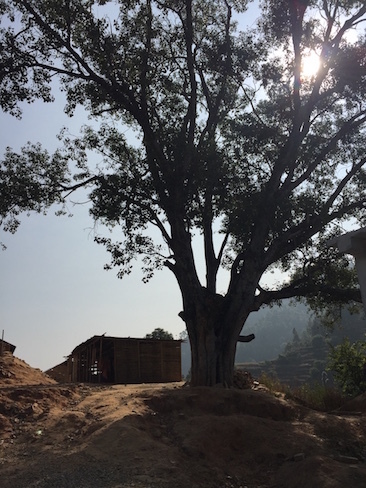 The site is home to a sacred peepal tree, which was identified in the community consultation as holding significant value to the community, and thus its restoration became a central part of the site design. The local engineers disagreed with this proposition, and were insistent that the trees be cut down, and this led to a 6-month debate about their fate. Once Angelica had completed her Master Plan drawings of the Education Centre she shared them with Janak, and introduced the concept of Regenerative Design, which was completely new to him. What Janak took from this was that it is possible to both develop and protect a community’s heritage and environment. While previously holding the view that it was necessary to cut down the trees to make way for the buildings, he was delighted to see how development can be designed to coexist with the natural environment. “As I am in government service, we have to construct different public buildings, schools and many other structures, I would apply this type of concept there”. Janak’s story is a powerful example of a partnership-led development model in action. It’s about connecting the right people together to challenge established thinking and drive transformation, and then working with partners to build the capabilities of communities to achieve sustainable advantage. As a part of this model of collaboration, FONA advocates that all parties involved adopt a Benefit Mindset, to help drive projects forward with better practice in all facets of work. This collaborative outlook aligns with Janak’s idea as to the collective purpose and impact of design. We are thrilled to have an ongoing partnership with Janak and other Nepali engineers. Share this article and tell us why you think Regenerative Design is important.